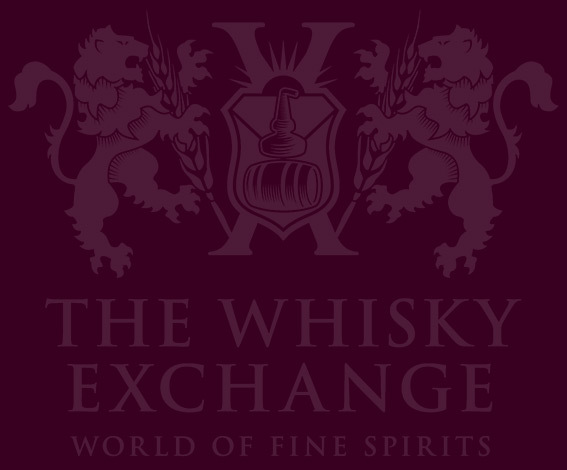 If there’s one thing The Whisky Exchange Whisky Show is famous for it’s the standard of our incredible Masterclasses. We’ve already announced three brilliant classes for this year’s show and our final tasting puts the tin lid on it: yes, we’ve got an Ardbeg Masterclass! Right from our very first event, back in 2009, TWE’s Whisky Show has been raising the bar for UK whisky festival tastings, and every year since has seen some truly memorable moments and out-of-this-world whiskies for our lucky attendees to taste. We’ve worked very hard over the years to continue this tradition of excellence, and we’re confident that the line-up for 2013 can stand up with the best of them. 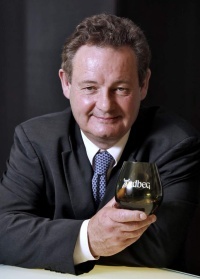 On Sunday 6th October we will be joined by Ardbeg’s Brand Director Hamish Torrie for a fantastic array of Ardbegs that will include not one but TWO examples from the 1970s. 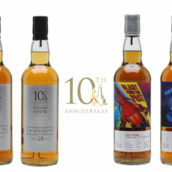 It’s a great line-up including Ardbeg Uigeadail, which is most Ardbeg fans’ pick of the current range, plus cult hit Ardbeg Very Young, which was distilled in 1998 and bottled at a mighty 58.3% in 2004; and the late and much-lamented Ardbeg 1990 Airigh Nam Beist, the last bottling of which took place in 2008. But it’s the two 1970s samples that we, and we suspect you, will be most excited about. 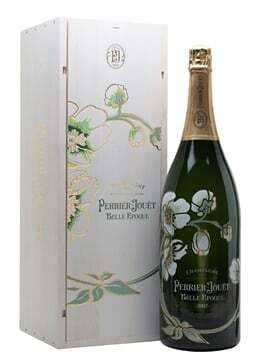 The first is from the famed 1974 vintage which has produced some truly legendary bottlings in the past. Official bottlings of Ardbeg 1974 include the various different Provenance editions, the much-desired Double Barrel and a string of official single casks for the UK and international markets. 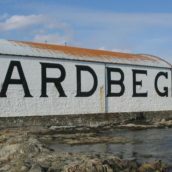 Interestingly, after 1974 Ardbeg was increasingly using peated malt from sources other than its own maltings, which were finally decommissioned in 1977. It’s not a coincidence that most post-’74 Ardbegs are not quite as full-on peaty as before. Ardbeg 1974 has also been well-represented in the independent bottlers market, with some extremely sought-after releases from the likes of Connoisseurs Choice, Samaroli, Signatory and Sestante. And as it’s this particular scribe’s birth vintage, you can be sure that I bagsied my place for the write-up of this tasting in record time. The 1974 we’ll be tasting at our Masterclass is a bit of a mystery. All we know is that our host Hamish and distillery manager Mickey Heads have rustled it up from somewhere, but we’re not entirely sure if it’s a rogue bottle of a previously-released official bottling or an exclusive cask sample. 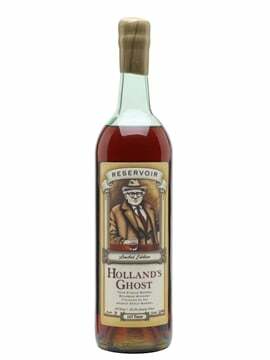 To be honest we’re just excited to be getting a chance to taste one of the most mythologised vintages from this wonderful distillery. Meanwhile, 1976 is probably the most famous vintage from Ardbeg after 1974, again thanks to a series of famous single cask bottlings. 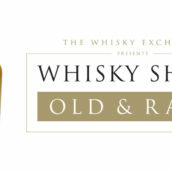 The difference is that whereas most of the 1974 casks are ex-bourbon, the reputation of Ardbeg’s 1976 vintage rests on a series of extraordinary sister sherry butts. 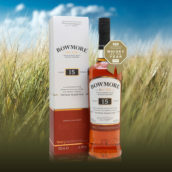 The first of these to see the light of day was the famous Manager’s Choice (cask #2391) that was chosen by former manager Stuart Thomson for sale at the distillery in 1999. 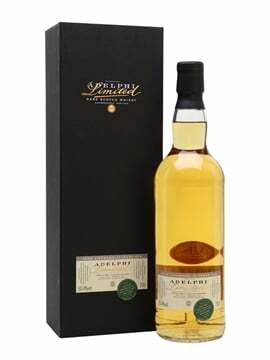 Cask #2391 was such a hit that further bottlings were released from sister casks under various guises, with Casks #2392 and #2394 released for the newly-formed Ardbeg Committee in 2000 and other sister casks released for the Islay Festival (Feis Ile) in 2002 and 2004. 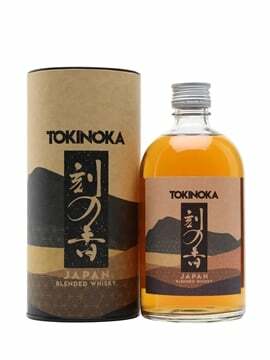 There were also a handful of bottlings for international markets, including Cask #2396 which was bottled for the Italian market in 2002 (and tasted by me in Japan last year). I have a particular affinity for these 1976 casks as their date of distillation just happens to be the day that Mrs. Blog was born, so obviously there was quite a lot of pretty special stuff happening that November. Independent bottlings of 1976 Ardbeg are pretty thin on the ground, but there are a couple from Connoisseurs Choice and Samaroli. Again, we’re not entirely sure about exactly how Hamish got his hands on the sample he’s bringing for the tasting, but we understand that it is previously unreleased, so this is a very exciting exclusive for the show. Obviously this tasting is going to be one of the whisky events of the year – we’re seriously excited and we suspect that plenty of you will be too. Tickets for the Ardbeg Masterclass go on sale on Monday July 1st at 1pm, at a price of £50 each. Due to the anticipated demand for tickets we are restricting them to only two per person, and of course please be aware that you must have a Sunday ticket or weekend ticket for the show in order to attend. If you want a weekend ticket you’ll need to be quick as we’re down to the last dozen or so of those. Good luck getting a ticket – you’ll need to be quick on Monday. Hope to see you at the show!